I know they're good for me, but definitely don't eat enough. And until recently, I never really spent time on LinkedIn. But friends kept telling me to use it more. And now that I've done that, I like what I see! Not bad, right? If you like what you see, the Ethos3 infographic below has great tips that helped me get started on Linkedin in a BIG WAY! Before a presentation, update your LinkedIn profile; attendees will review it to assess your credibility. 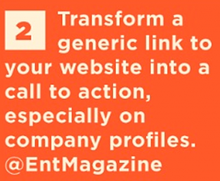 Transform a generic link to your website into a call-to-action, especially on company profiles. Create entries for every role you have performed within each job title. It's okay to have overlapping dates. Share high-quality information with your network to create connections that become alliances. The ideal length for LinkedIn long-form posts is 500 to 1,200 words. Tailor length for your audience. Skip the 'How do you know this person' step. Click 'Connect' from search results, instead of profiles. Want another company or user to see your LinkedIn status updates? Use @mentions when you post. Don't be a wallflower. Your profile is 5x more likely to be viewed if you join and are active in groups. When introducing yourself, don't be self-centered. Be generous, genuine and focus on the other person. Looking for a new job on LinkedIn? 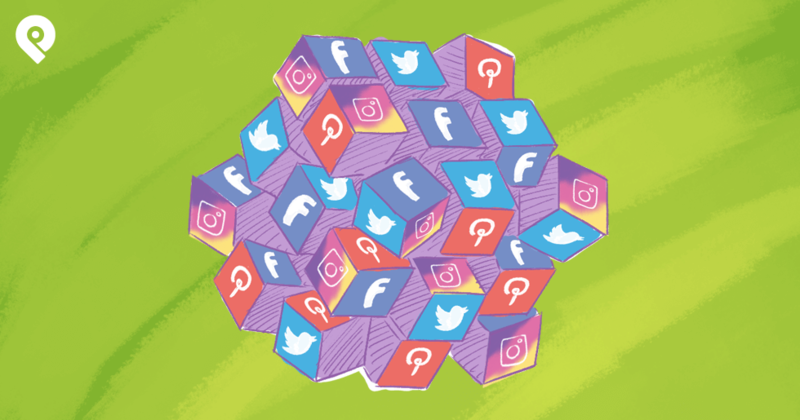 Don't let your boss know; turn off your activity broadcasts. LinkedIn users who update their profiles regularly get more job offers than peers who contact recruiters. Censor yourself. If you wouldn't say it in a job interview, don't say it in a LinkedIn group, or post. Schedule time to be active on LinkedIn. Review your profile, monitor updates, participate in discussion. Evernote and LinkedIn integrate. Organize business cards, LinkedIn info, and networking notes in one place. 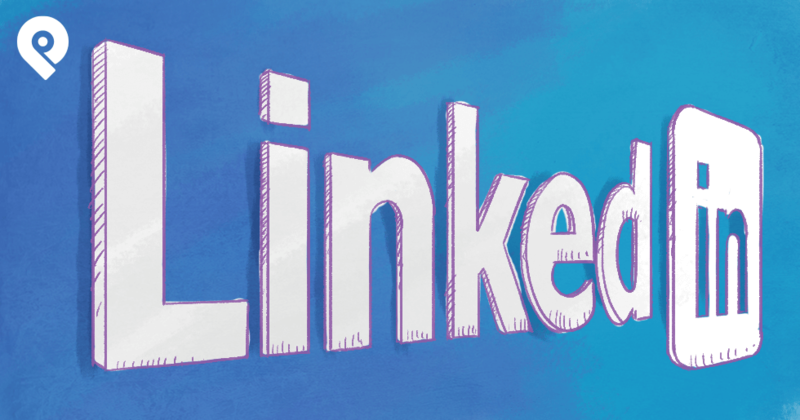 Use your LinkedIn profile as a sales tool. Add a short video about your company to your profile. Add value to LinkedIn groups: Share visual presentations that will interest group members. 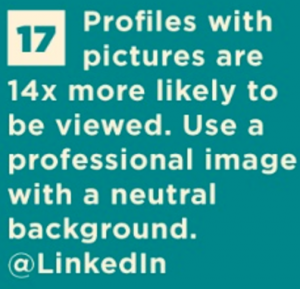 Profiles with pictures are 14x more likely to be viewed. Use a professional image with a neutral background. 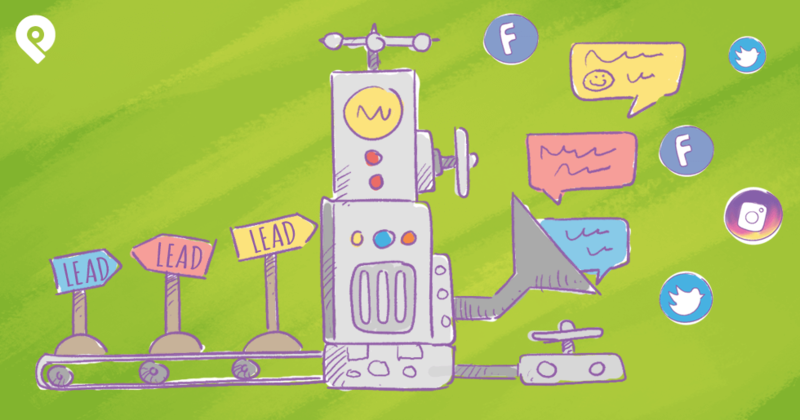 Avoid profile buzzwords, such as "creative" and "motivated." Minimize adjectives. Emphasize verbs. 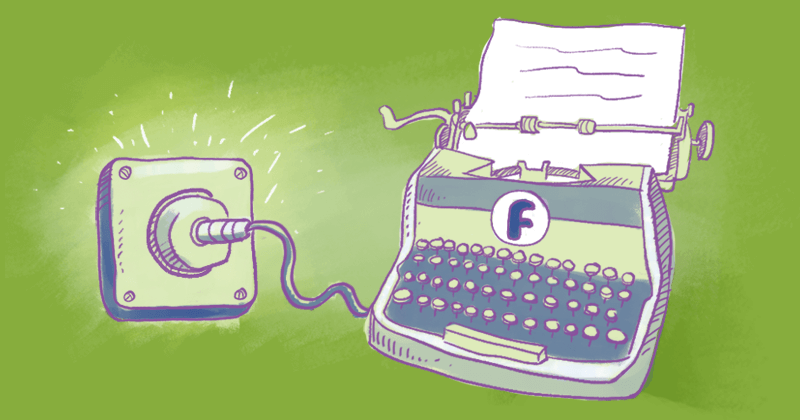 LinkedIn has found that 20 posts per month can help you reach 60% of your unique audience. The best times to post on LinkedIn: Tuesday and Thursdays, between 7am and 9am local time. Company updates with images have a 98% higher comment rate than updates without images. Download LinkedIn's Connected app; it's designed to simplify professional relationship development. You are unique. Prove it. Use a creative headline instead of defaulting to your current job title. Help recruiters, prospects and potential partners find you; use keywords throughout your LinkedIn profile. 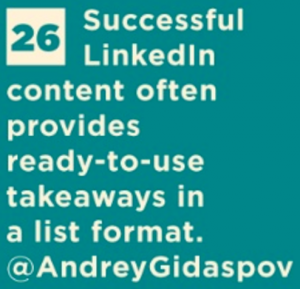 Successful LinkedIn content often provides ready-to-use takeaways in a list format. Follow Dan Pink's lead; he reprised a post '3 Tips for TED speakers' for LinkedIn's publishing platform. Endorse people you respect. Send a thank-you message when someone endorses you. List volunteer experience on LinkedIn; 42% of hiring managers value it as much as formal job experience. 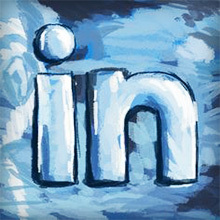 LinkedIn groups provide one of the best personal branding opportunities you have with social media. Struggling to fill a role in your company? Instead of hiring a recruiter, join LinkedIn's Recruiter service. 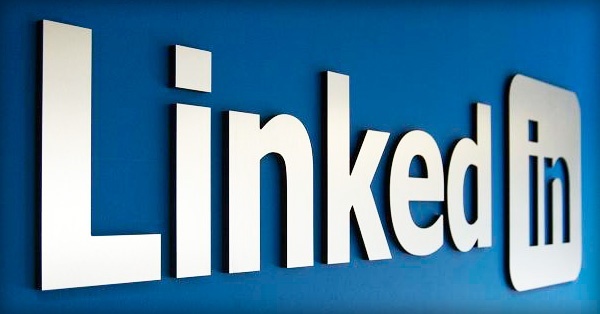 Share original content: Content is now viewed 6x more than jobs-related activity on LinkedIn. 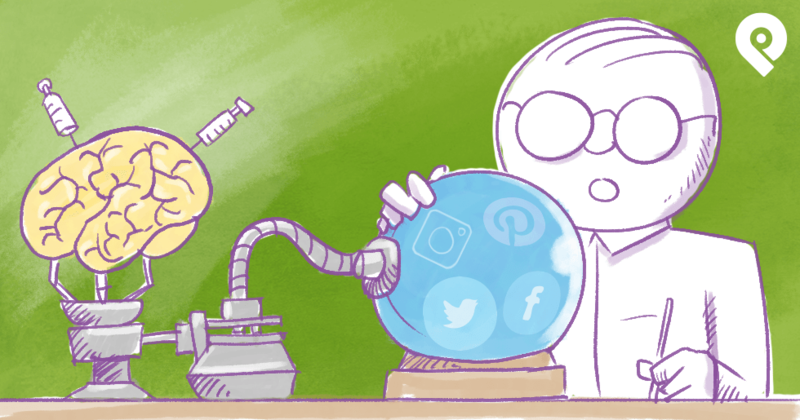 Use visuals; embed SlideShare presentations and infographics into your profile and long-form posts. Now check out the infographic. 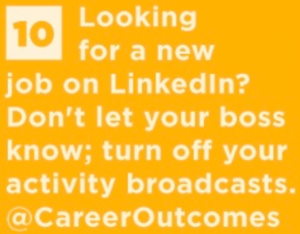 And please leave your best LinkedIn tip in the comments.